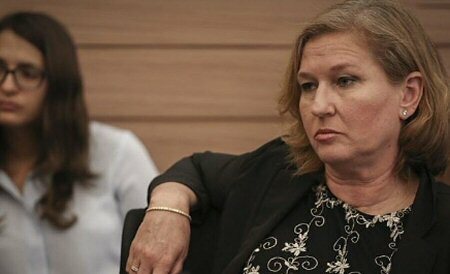 One of Israel’s most prominent politicians, former Foreign Minister Tzipi Livni, on Monday, said that she was leaving politics after two decades and warned that “democracy is in danger”. A former peace negotiator with the Palestinians, Livni won recognition abroad for her part in the United States-brokered talks between Israel and the Palestinian Authority. Negotiations collapsed in 2014. In recent years, Livni’s career has floundered, Al Ray reports. The US plans to present a new “peace plan” after Israel’s April 9 election, although expectations of a breakthrough are low. “I am leaving politics, but I will not let Israel abandon the hope for peace,” a tearful Livni told a televised news conference in Tel Aviv. “These past years have been hard for me and for the things I believed in … peace became a dirty word, and democracy is in danger,” she said, citing Prime Minister Benjamin Netanyahu’s criticism of legal authorities conducting corruption probes against him and attacks he has made on the local media. Opinion polls have shown that Livni’s centrist Hatnua party was not expected to win any seats in parliament, in an election where the right wing, led by Netanyahu’s Likud party, looks likely to prevail. Hatnua had been part of the biggest left-wing faction in parliament, the Zionist Union, together with the Israeli Labor Party.